RAVERAT Gwen S.W.E. 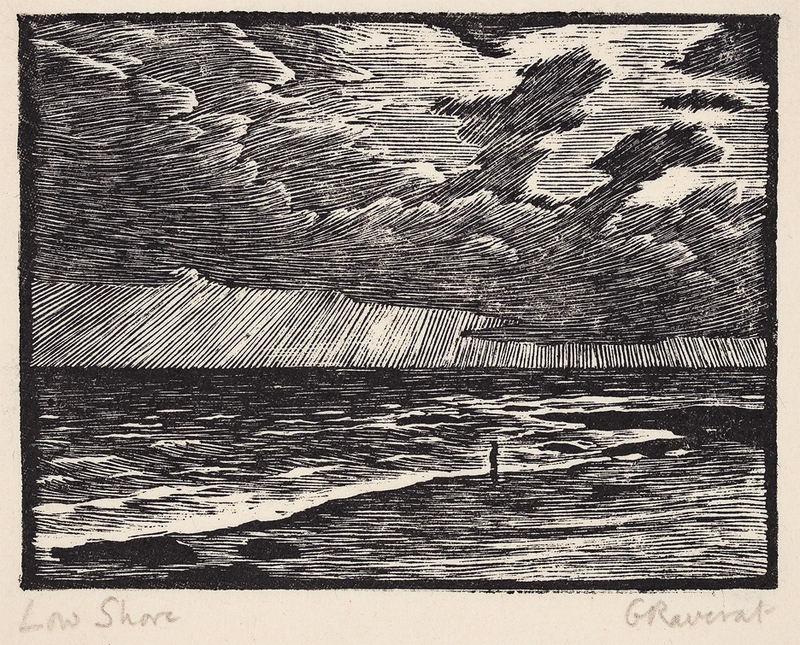 (1885-1957) The Storm (SN44). 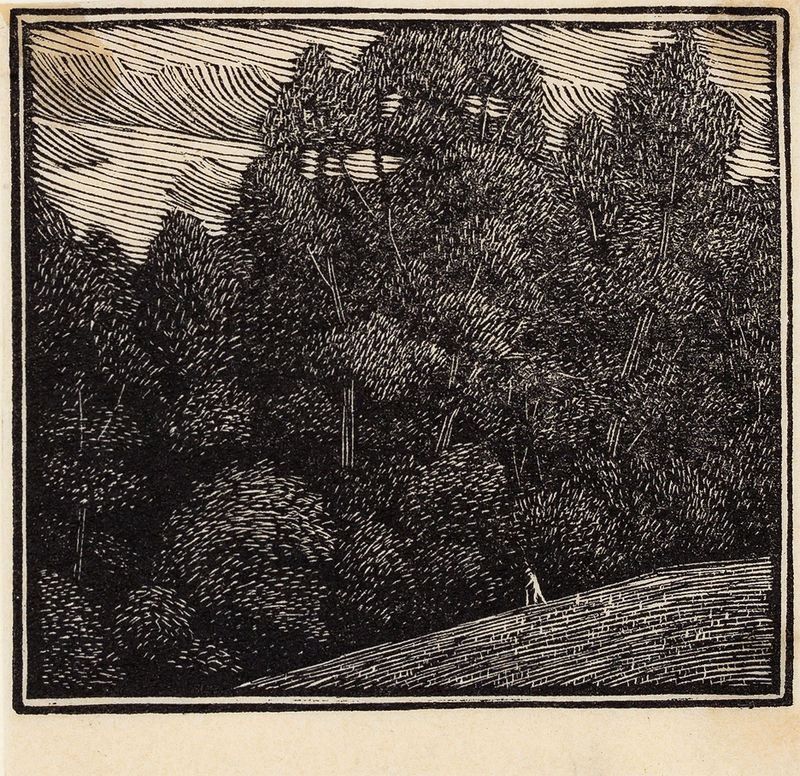 Wood-engraving. Signed and titled. 1912. Provenance: An album compiled by the artist and given to her daughter, and by descent. 4x2.5 inches. £475. RAVERAT Gwen S.W.E. (1885-1957) Haycocks (SN50). 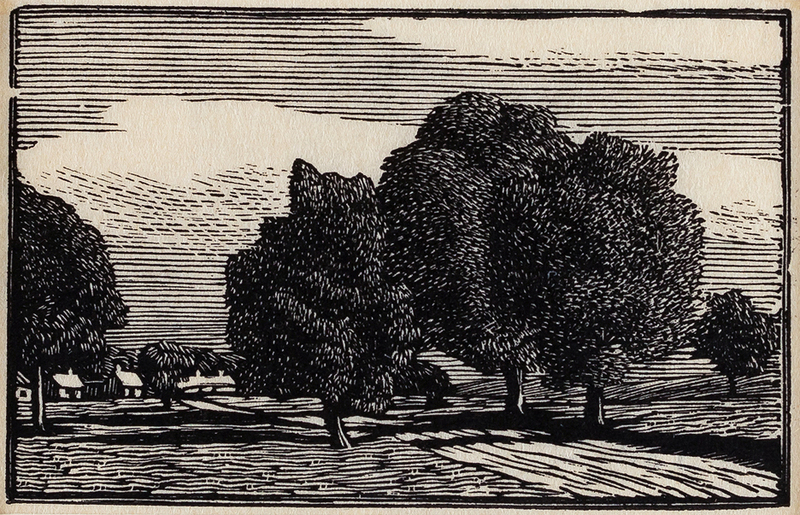 Wood-engraving. Proof. 1913. Provenance: An album compiled by the artist and given to her daughter, and by descent. 2x4 inches. £500. RAVERAT Gwen S.W.E. 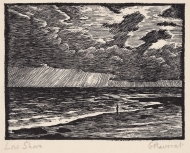 (1885-1957) Sea and Cliffs (SN52). 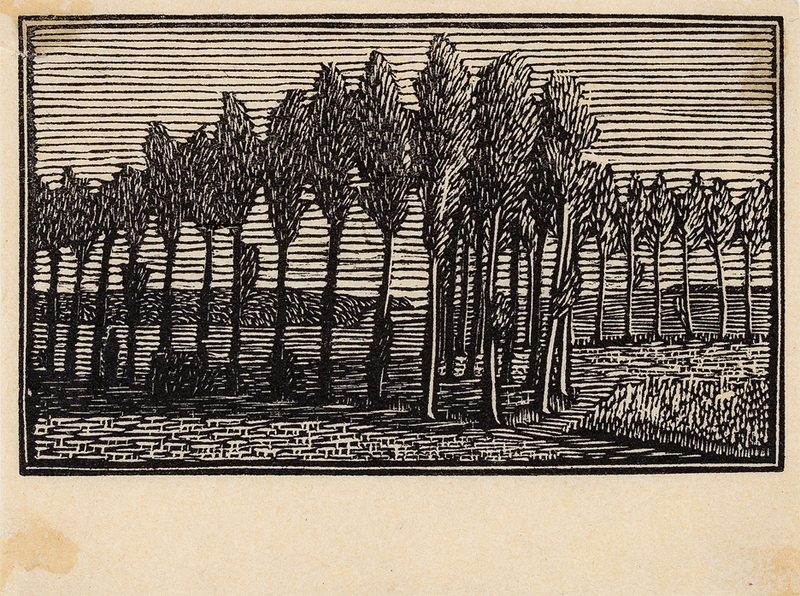 Wood-engraving. Proof. 1913. Provenance: An album compiled by the artist and given to her daughter, and by descent. 3x2.25 inches. £475. RAVERAT Gwen S.W.E. (1885-1957) Sky (SN48). 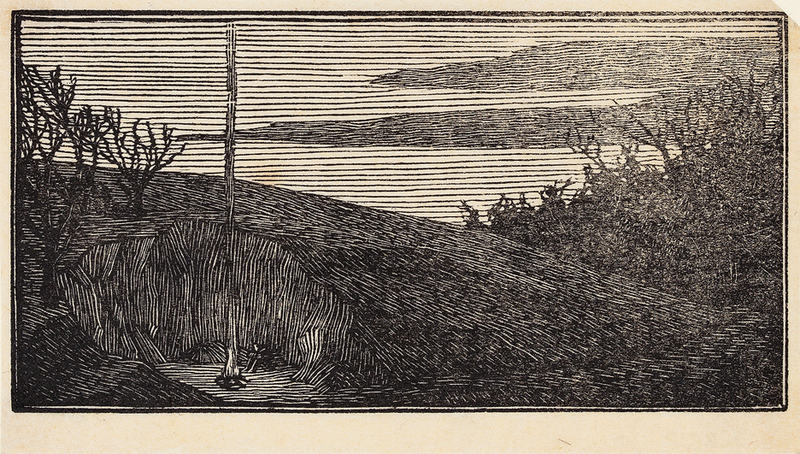 Wood-engraving. Proof. 1913. Provenance: An album compiled by the artist and given to her daughter, and by descent. 2x3 inches. £375. RAVERAT Gwen S.W.E. (1885-1957) Spring Morning (SN61). For F. C. Cornford’s Poems. Wood-engraving. State 2. Signed. 1915. Provenance: An album compiled by the artist and given to her daughter, and by descent. 3.25x3.25 inches. £375. RAVERAT Gwen S.W.E. 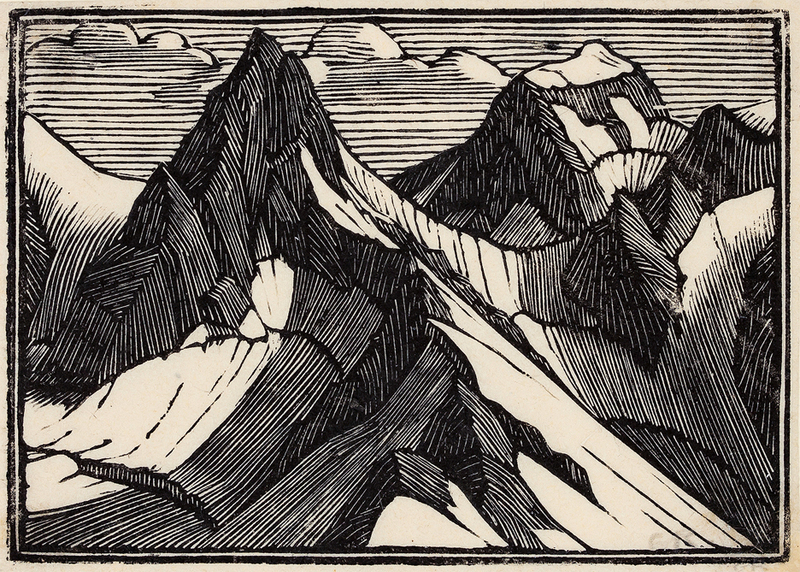 (1885-1957) Mountains (SN60). For F. C. Cornford’s Poems. 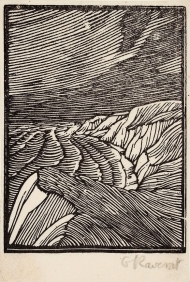 Wood-engraving. Proof. 1915. Provenance: An album compiled by the artist and given to her daughter, and by descent. 2x3 inches. £575. RAVERAT Gwen S.W.E. 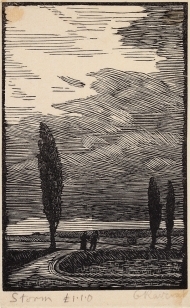 (1885-1957) Poplars (SN63). For F. C. Cornford’s Poems. 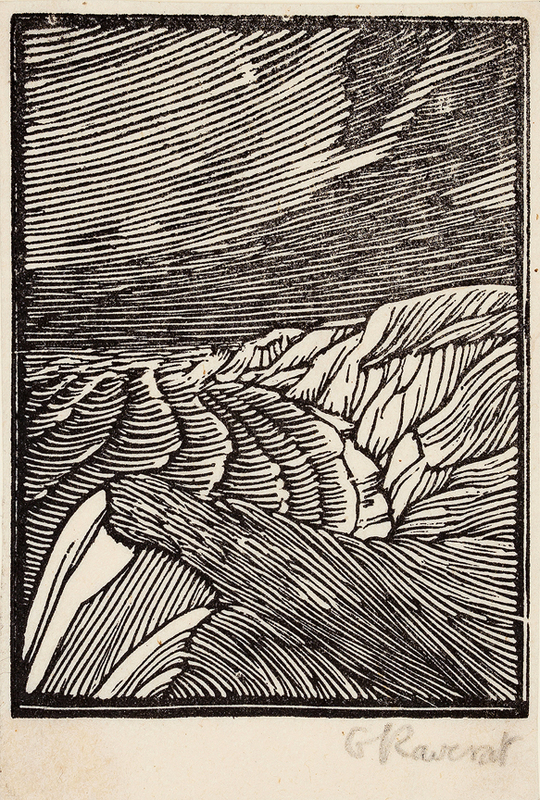 Wood-engraving. Proof. 1915. Provenance: An album compiled by the artist and given to her daughter, and by descent. 2x2.5 inches. £375. RAVERAT Gwen S.W.E. (1885-1957) Walnut Trees / Noyers et Poiriers (SN66). 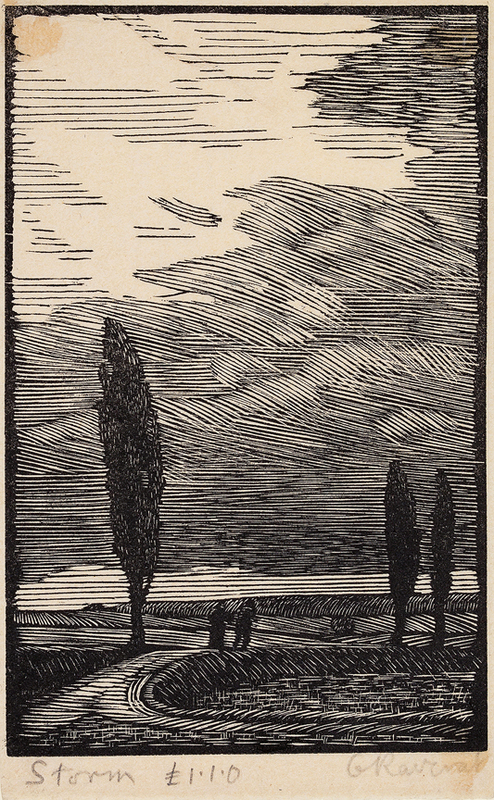 Wood-engraving. Proof. 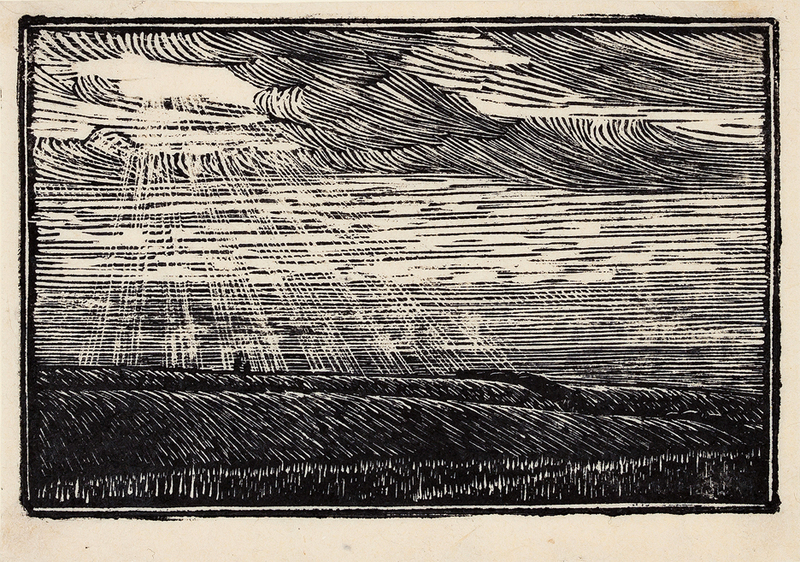 1915 Provenance: An album compiled by the artist and given to her daughter, and by descent. 2x3 inches. £375. RAVERAT Gwen S.W.E. (1885-1957) The Edge of the Wood I (SN70). 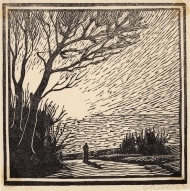 Wood-engraving. Proof. 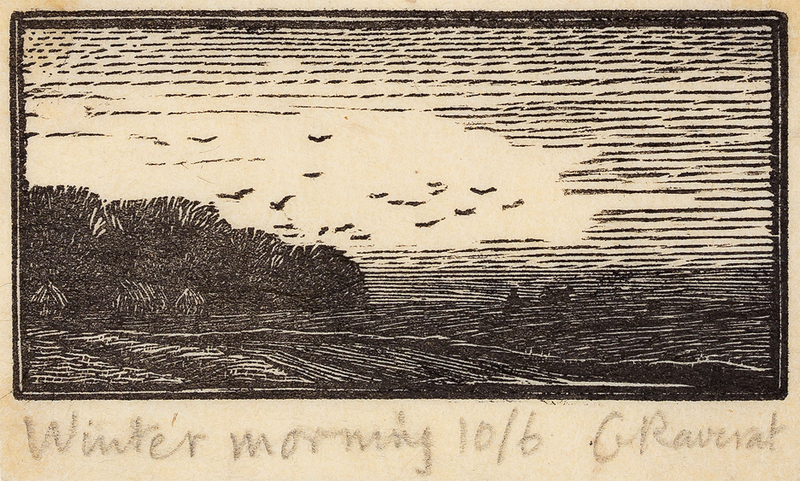 1915 Provenance: An album compiled by the artist and given to her daughter, and by descent. 2x2 inches. £375. RAVERAT Gwen S.W.E. (1885-1957) The Moor (SN73). Wood-engraving. Signed and titled. 1915. Edition of 20. Provenance: An album compiled by the artist and given to her daughter, and by descent. 1.5x3.5 inches. £475. RAVERAT Gwen S.W.E. (1885-1957) The Summit (SN75). 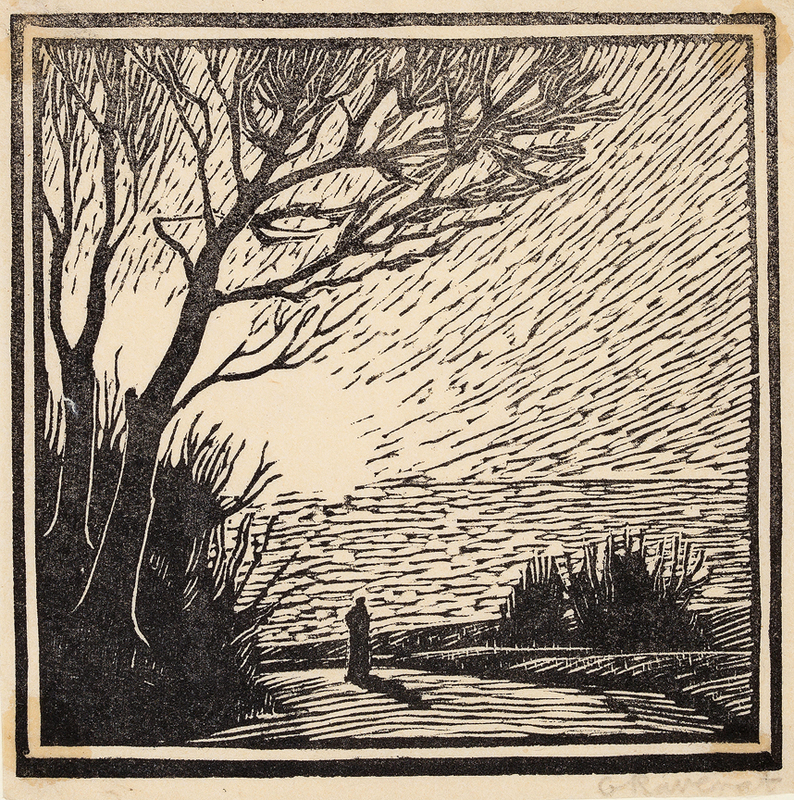 Wood-engraving. Proof. 1916. Provenance: An album compiled by the artist and given to her daughter, and by descent. 3x2.25 inches. £575. RAVERAT Gwen S.W.E. (1885-1957) Winter Morning (SN77). Wood-engraving. Signed and titled. 1916. Edition of 70. Provenance: An album compiled by the artist and given to her daughter, and by descent. 1.5x2.5 inches. £475. RAVERAT Gwen S.W.E. 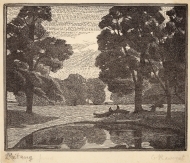 (1885-1957) Elms by a Pond (SN78). 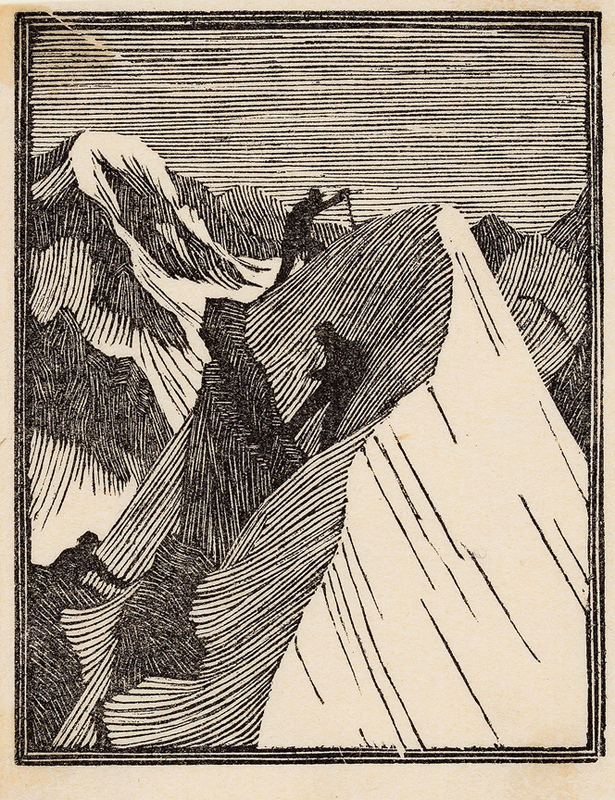 Wood-engraving. Signed and titled. 1917. Provenance: An album compiled by the artist and given to her daughter, and by descent. 4x5 inches. £650. RAVERAT Gwen S.W.E. (1885-1957) The Lost Traveller (SN82). 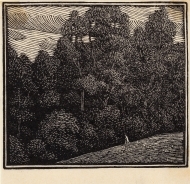 Wood-engraving. Proof. 1919. Provenance: An album compiled by the artist and given to her daughter, and by descent. 2x4 inches. £375. RAVERAT Gwen S.W.E. (1885-1957) Low Shore (SN145). Wood-engraving. 1928. State 1 or 2. Signed and titled. Provenance: An album compiled by the artist and given to her daughter, and by descent. 3x3.75 inches. £575.